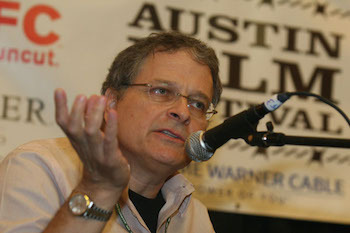 Telling you everything you need to know about the Austin Film Festival and Writers Conference in one short sentence is impossible unless you are Hemingway or Raymond Carver, which we are not because we are more like Pynchon or David Foster Wallace and in need of a lot more space and words to explain that folks like Lawrence Kasdan said we are the greatest film festival in the world, and Paul Feig said we are the best film festival hands down (the same thing), and Ed Solomon said “there is no us and them” at AFF, so there you have three good reasons out of a hundred why you should come to Austin and attend our Festival and Conference because we do not just name drop, we frigging give ‘em to you in the flesh, then we stand back and watch them joyfully share their hearts and souls and guts with you to help make you a better writer, and we also watch them turn to you for some payback inspiration (not B.S., happens all the time, read our testimonials), which proves we are indeed the greatest film festival in the world. Hands down. Panels for new and experienced writers. 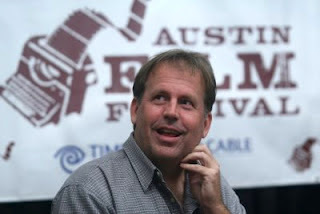 There is no magic formula for success for any writer, but there is magic that happens at AFF when writers of many genres gather under one roof and realize that, regardless of their preferred storytelling outlet, it all comes back to the story itself. A story is a story, for better or worse, and whether people listen to it or watch it unfold on a big screen or a small screen or stage, all that matters is that the audience is moved. That’s every writers job. The AFF offers you a lot of valuable information from a lot of multi-talented wizards who have cracked their writing racket and have wrestled it to the ground. 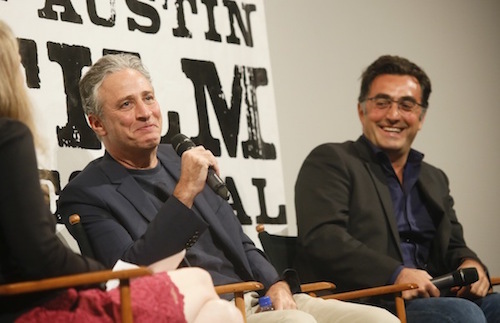 For four days each October, the Writers Conference features over 175 panels, workshops, roundtables, and pitch sessions covering every nook and cranny of the art, craft, and business of storytelling through film, television, and new media. or risking a new direction after established success. So register, tune in and…listen. Buy Your Badge or Film Pass Now! If the panels are the substance of the Conference and the films are the showcase of the Festival, the kaleidoscope of parties are AFF’s great escape. Fifteen hundred miles away from the toil of Tinsel Town, the parties are a kinetic experience where A-Listers and amateurs mix and mingle over endless plates of barbecue and late-night night caps. Offering absolutely all-inclusive experiences, and unparalleled networking opportunities, these events begin around sundown and bleed into unforgettable nights. 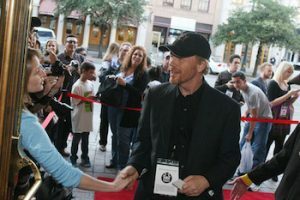 From the Opening Reception to the annual Film Texas BBQ Supper to the bevy of closing soirees, Austin Film Festival delivers entertainment to be seen, and more importantly, to be lived. Click below to peruse other letters from past AFF panelists and alum! 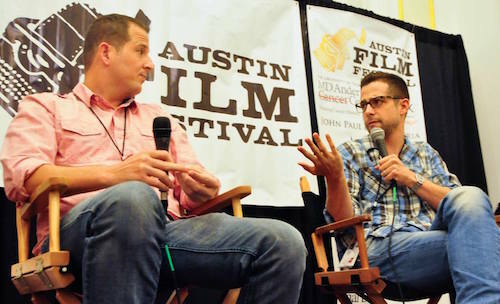 Austin Film Festival is a diverse collection of talent, background, expertise, and knowledge. 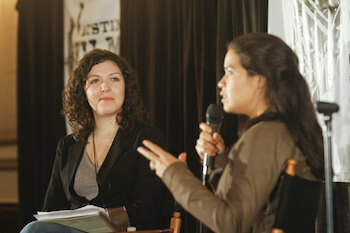 Offering access and insight through panels, pitches, workshops, and roundtables, AFF is the one stop shop for storytellers. And because the full experience is so interactive, panelists are not just names on a list, but artists you get to know over the course of the week. This is a festival and conference designed for contact, for catalyzing ideas, and collaboration. 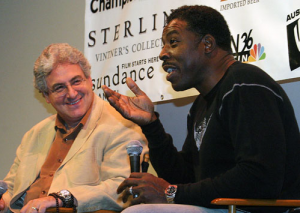 Hosting over 150 speakers, these working professionals range from writers, directors, and showrunners to producers, executives, agents, and managers. Did you know all Badge holders also receive Texas-sized discounts on partner hotels? While the trip to Austin can be invaluable in multitudes of ways, let us help in planning your trip; we have a handful of packages for a variety of budgets that showcase all our city has to offer. Let us help you make the most of your stay! It’s never too early to start planning – Austin, Texas isn’t merely some city in the middle of Texas. It’s a menagerie of culture and society. Book your trip to Austin now!